Do you think Edmonton has a need not to speed? The big item this week is speed limits on city streets, particularly in our neighbourhoods. A report going to the Community and Public Services Committee is asking for a phased-in approach to speed limit reductions on our way to 30 km/ in more places. First, we’d study the changes in playground zones, which took effect last fall and are now fully implemented, then lower limits in neighbourhoods, then study that change before lowering limits on collector roads. Multi-lane, high volume arterial roads wouldn’t be part of the changes. Surveying that went into the report finds most Edmontonians are in favour of slower speeds in residential areas, and most feel unsafe crossing some of their neighbourhood roads. That’s kind of the answer right there, isn’t it? 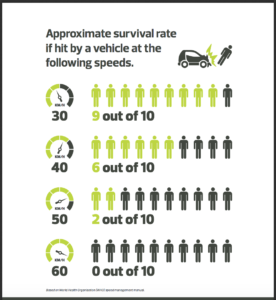 And when people saw the image below, showing that you are unlikely to survive a collision if you’re hit by a driver doing 50 km/h, most everyone agreed that we need to lower speed limits in more places. The big argument we’re likely to hear is about how much time it’s going to take getting around Edmonton if our neighbourhood streets are 30 km/h. “We’re a car city” people will proclaim (and you can see in this PDF that those opposed to speed limit reductions in the City surveying very much did proclaim that). With a little real-life test of this, here’s a Twitter thread from Tim Querengesser, driving around his neighbourhood and clocking the time it adds to go just a little bit slower, and he’s starting from 60 km/h. 6/ And finally, at 40 km/hr, the exact same trip took about 20 seconds longer than it did at 60 km/hr, or about 68 seconds. One more thought on time. Just because the posted speed limit is 50 km/h doesn’t mean we’re driving that our entire trip, especially through residential areas, even on collector roads. If I had to guess, once you throw in stop signs and other drivers and crosswalks and speeding up and slowing down and not paying attention and turning corners and traffic lights, we’d be lucky to average 40 km/h driving around Edmonton (or most any city). So, we’re not talking about changing our reality very much but we are talking about a potential life-saving move. This one is at the Community and Public Services Committee on Wednesday. You’ll want to get in touch right away with councillors on that committee to let them know your thoughts on speed limit changes. Also get in touch with your own councillor as any recommendations of the committee would still need to be approved by the entire city council. You might have seen that former New York City transportation commissioner Janette Sadik-Khan was in Edmonton on the weekend, talking about bike lanes and how we use our city streets. Let’s take her advice and move as quickly as possible to make our streets for people. Sticking with this theme of transportation change, it sounds like Edmonton might start testing out a bikeshare soon. The perfect way to ride the new bike lanes! So, the words “slush fund” tend to grab attention. It’s a characterization the City auditor isn’t disputing in the latest mess of accountability turned up by his office. This is about tens of millions of dollars in a planning reserve fund that were misused, lacking in a sufficient paper trail or didn’t do what the money was supposed to. There is also a potential conflict of interest around an $8.5M electronic services contract. This is one of a few big discoveries that have come to light after-the-fact in recent years, including our abysmal failure at actually being “world-class” at waste management and the problems with the Metro Line that dragged on behind the scenes. The mayor is talking about a lack of a culture of accountability at the City. At some point, however, we’re going to need to stop blaming that on previous councils and staff and look at who’s still around as this stuff keeps happening and keeps going without accountability. Metro Line accountability came in the form of the last city manager being turfed. I don’t think anyone is on the hook for our nearly 50% failure in diverting household waste from the landfill. Nobody appears to be on the hook for all the latest issues with the planning fund and eServices contract. But someone has to be in charge, right? And we can’t just wait for the auditor to tell us how awful things are running, sometimes years after the problems began. If you’re someone who cares about building the kind of city we are starting to lean into, one with LRT and bike lanes and local food policies and fairness, I think you need to share your voice heard at city hall asking for accountability. You need to let our current city councillors know they really need to do something to end this culture of silence, secrecy and mismanagement. I think it’s important that effective and efficient use of tax dollars becomes an urbanist issue because if the next city council gets swept into office to “clean things up” spending likely slows down. That puts LRT expansion in jeopardy. That puts forward-thinking issues like bike lanes and green initiatives on the bubble. And we could get stuck with a “potholes and snow removal” budget until trust can be rebuilt with City administration. This council needs to take accountability more seriously to keep up our city-building momentum. In other city hall finance news… marijuana legalization and police budgeting are the biggest reasons for this year’s tax increase. We talked about the city’s election fundraising last week, and this week you can take a look at how money rolled in to the campaigns for our two city school boards. We’re looking at doing some deeper dives on city council fundraising (and maybe even convert the disclosure forms from infernal PDFs!). Become a supporter today to help us dig into what makes this city tick, and who’s funding that ticking. 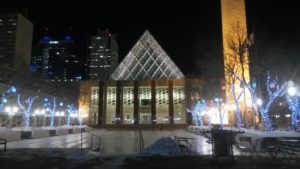 This one is getting a lot of attention… Some University of Alberta students took in-depth looks at what could make neighborhoods more attractive to people under the age of 40 and it doesn’t match up with a lot of other lists of Edmonton neighbourhoods you’ve seen. That said, as a fellow Millennial who loves Old Strathcona for its walkability, access to transit, abundance of grocery stores and endless shops and restaurants, I couldn’t quite wrap my head around the list either. But, I guess, that’s what these things are for, to spark discussion! 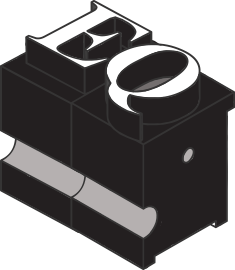 Speaking of which… You can still vote in Avenue Edmonton’s annual Best Neighbourhoods Survey. Postmedia is jumping into the local news roundup game, an idea I obviously endorse. You can find such posts pointing you at the (Postmedia) headlines to check out at the Sherwood Park News and Edmonton Journal websites. Mack Male also does a weekly roundup of things he thinks are interesting, if you’re into this kind of thing. 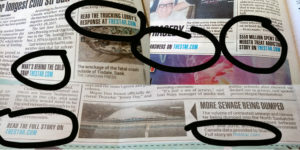 Put down this newspaper immediately! 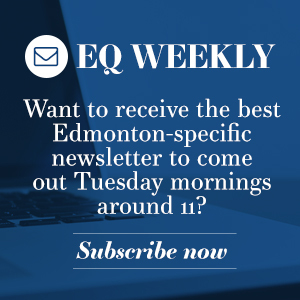 In kind of opposite news, the Edmonton Examiner’s online presence has been silent since early March, but the actual paper continues to print (now on Thursdays). I’m told the website will be updated again soon.